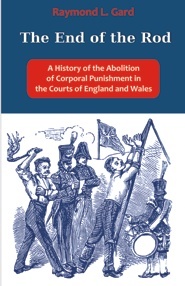 The End of the Rod describes the tortuous steps that led to the abolition of corporal punishment as a sentence of the courts in England and Wales in 1948. It seeks to give voice to the key actors in the process: civil servants and politicians, along with those actually inflicting and experiencing that corporal punishment. It uses a variety of archival material and original sources to achieve this. The account begins in the late nineteenth century and traces debates, negotiations, and manoeuvring from then to the legislation of 1948. The work then looks at the consequences of that abolition and offers an explanation as to why the changes it describes may have occurred. Ray Gard trained as, and then worked as, a Probation Officer for 10 years. He completed a Ph.D. at London University and now works as an Associate Lecturer in the Social Sciences Faculty of the Open University. He lives with his family in the heart of Germany.